Vivo gaming is a software company specialising in live gaming technology for businesses. The company has its headquarters in Jerusalem, Israel. It offers cutting edge solutions for online and offline casinos. Vivo gaming solutions enable casino operators to offer an exciting range of interactive real time casino games to an international audience. The company offers both customised gaming solutions, and turnkey solutions to the casino industry. Whether someone is looking to extend their existing casino, or planning to start up a new casino, Vivo gaming has an answer to all casino needs. Vivo gaming has established itself as a premier casino platform provider specializing in live gambling technology. There extensive range of cutting edge casino gaming applications include live gaming, online casino platform, management tools, white label solutions, integration API, unique games in download and flash versions, and many more. Vivo gaming offers a wide variety of classic, and unique and innovative games. 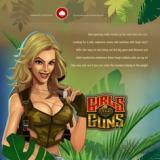 Their games portfolio consists of both downloadable and instant play games. What are the different software products offered by Vivo gaming? Key software products offered by Vivo gaming include Live dealer games software and turnkey solutions. They offer a wide range of table games such as live baccarat, live roulette, live BJ, live craps, and dedicated live tables. They excel in providing live casino games, and they are the online casino software provider offering live craps tables white labels. The software suite includes RNG games, live games, back office management, and one or two wallet integration API. This enables casino operators to integrate live games into their existing platform. Another popular offering of Vivo gaming is their turnkey casino solutions. Vivo gaming has turnkey solutions for both land based and online casinos, and can be deployed by casino operators who wish to extend their line of business from land based to online or vice versa. Their live casino platform package includes dedicated live table games, live craps, live barracat, online casino slots, video poker, keno, table games, bingo, and many more. They also offer variety of payment methods and management tools. Vivo gaming has perfect software solutions for anyone wishing to start their own casino. Whether you want to set up a brick and mortar casino, or an online casino, Vivo gaming has a solution for you. Vivo gaming also offers gaming apps for Android and iOS. They will soon release TV apps for Smart TVs. What are the key features and benefits of Vivo gaming products? Vivo gaming offers advanced technological solutions for the casino gaming industry. The software front end or interface is extremely user friendly. They employ maximum bandwidth and streaming capabilities to ensure smooth running of applications. The company also offers marketing and branding services to the clients. Vivo gaming is an Israeli software company that offers cutting edge solutions to both online and land based casinos. From unique gaming solutions to advanced turnkey casino solutions, they offer everything that a casino operator would need to run his business successfully.